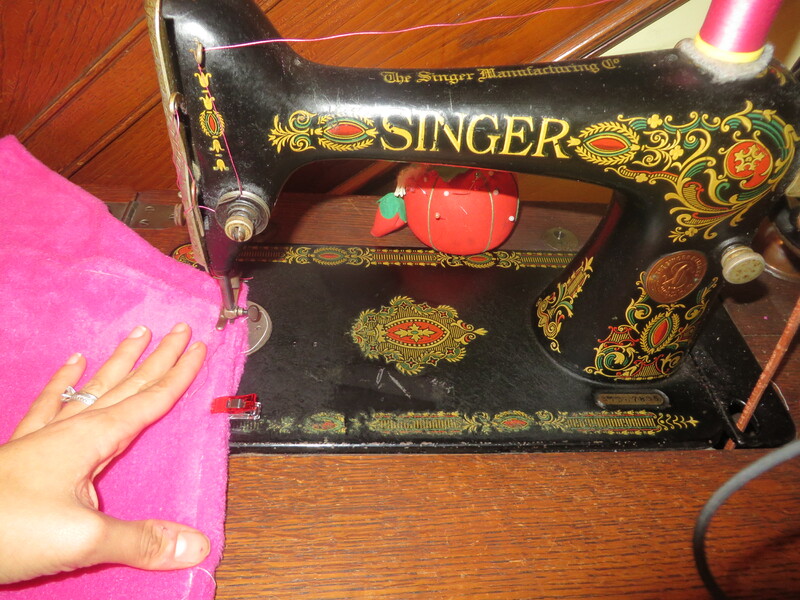 *and, of course, your scissors and a sewing machine! And I would like to add for those of you that might be like me and have trouble calculating how much of what material you will need that if I don’t buy my material online, I actually take my drawn out plans to my local fabric store and discuss w/ them what I’m making. 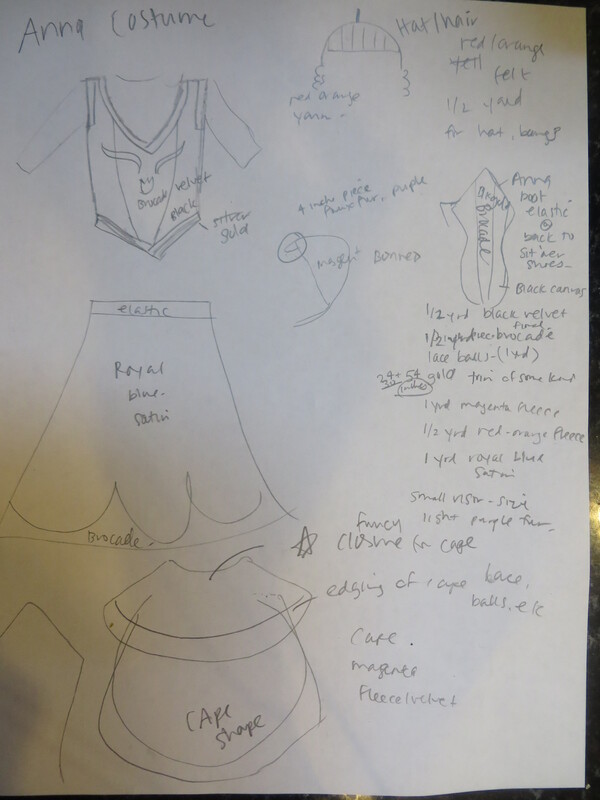 I know I’m good at drawing plans, but estimating correct amounts of fabric is tough for me sometimes — or it’s that I’m just always paranoid I won’t get enough of something and will have to run back to the store or have an unwanted/unplanned seam somewhere. No thanks! . Anyway, just like the first Anna hat in this series of Frozen projects, I like that this cape is made of fleece and appropriate for our late fall weather here in the Northeast. I opted to make this particular cape w/ two layers of fleece on the main piece and just one piece on the upper, smaller portion of the cape. In hindsight, it would have been easier to just cut two pieces of fabric, sew them together and be done w/ it. But I do like the weight of having two layers on this one. This is, of course, total preference. Now, let’s see if I can remember the steps I took in creating this. 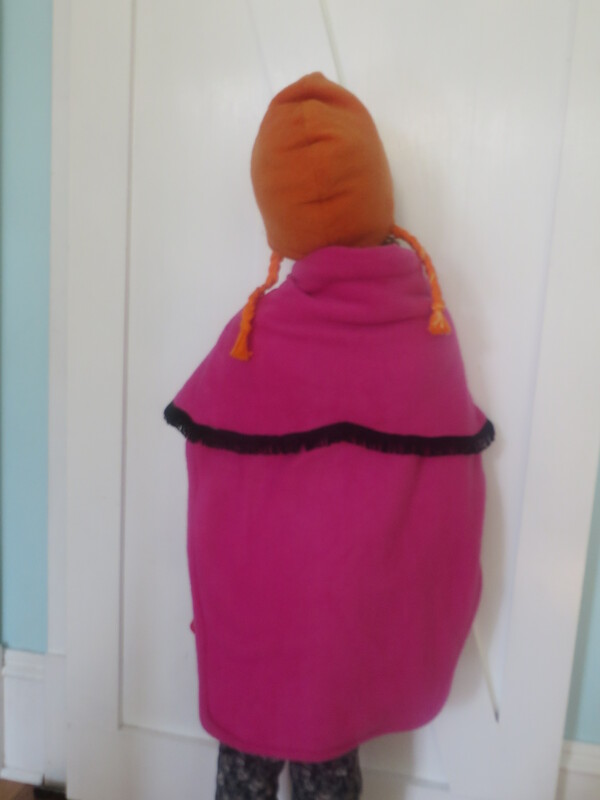 Lower body piece of Anna cape cut. I laid this on top of another piece of fleece and cut out an exact copy of it. 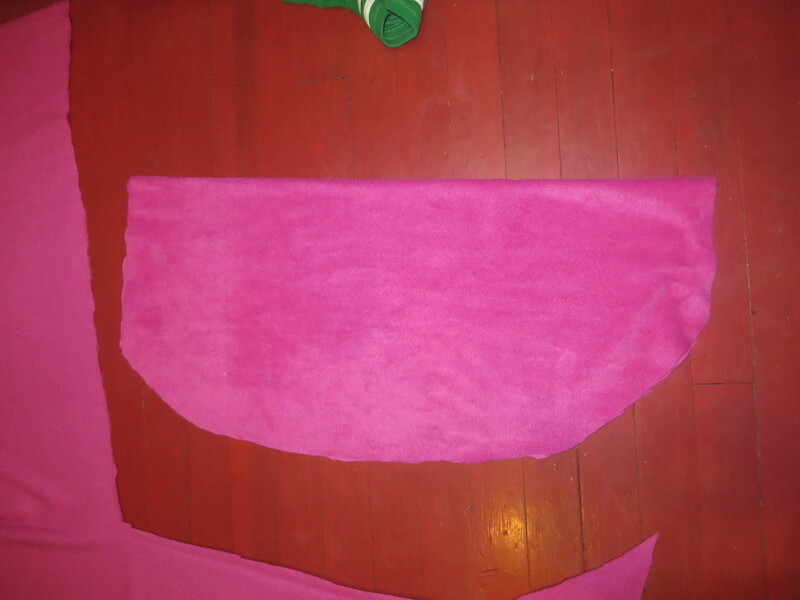 If you are okay w/ one piece of fleece here, you could just hem the edges, leaving the top, where the neck will be, open (do not fold over and hem). 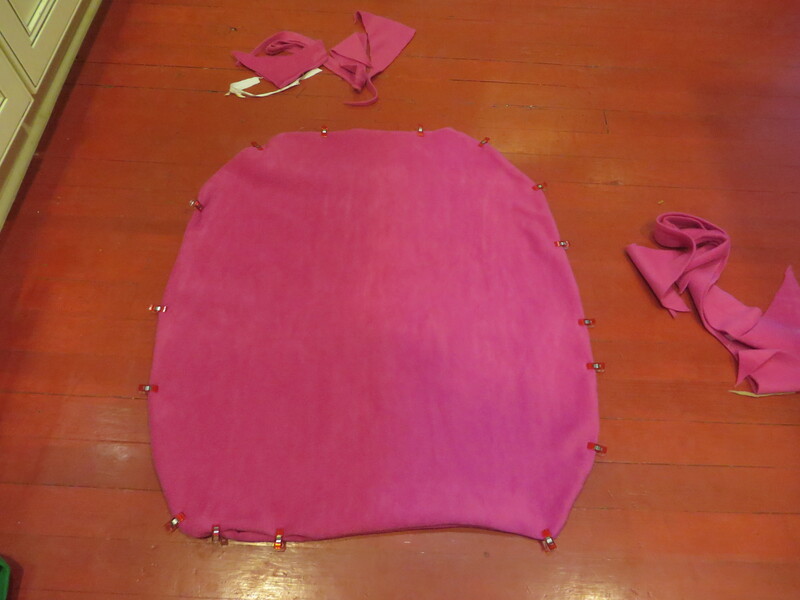 If you do it this way, skip through this tutorial to the point where we are attaching the upper portion of the cape. If you just love to keep it labor intensive, like I apparently do, stay w/ me for the more involved way to do this. Now, we have two pieces of lower portion of cape cut. We need to sew them together, right sides together, leaving a turning hole at the top of the cape. Two lower portions of cape pinned and ready to be sewn. * Remember to leave your top seam open as your turning hole! 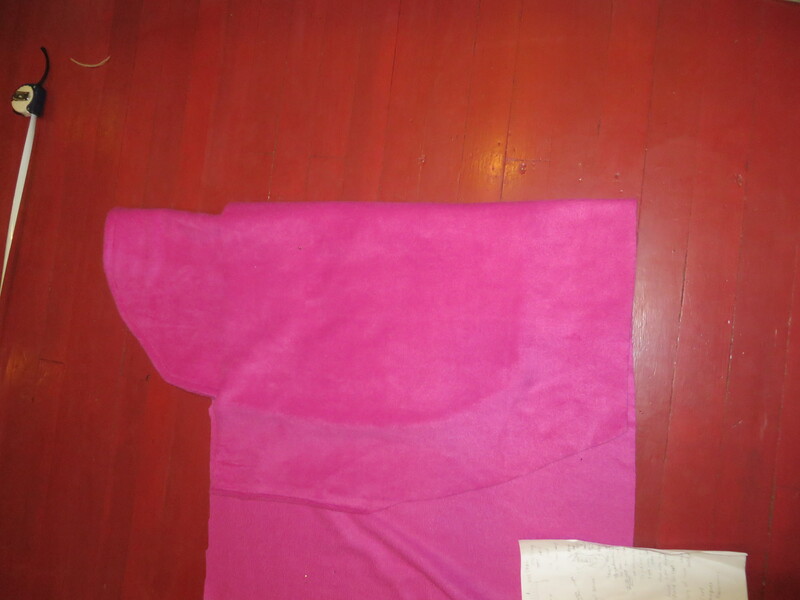 Lower portion of cape sewn turned, right-side out, and top-stitched. We are a little anxious to try her on! 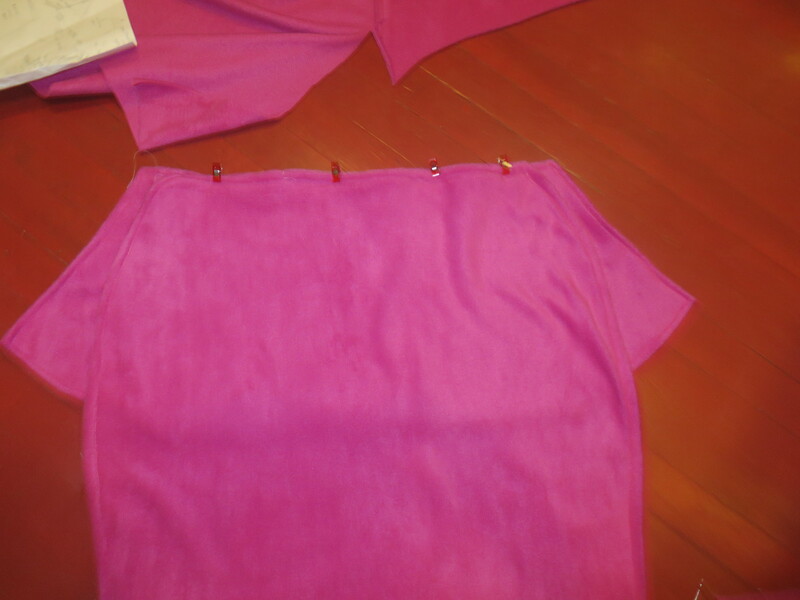 Cutting angle of upper portion of cape for left side. 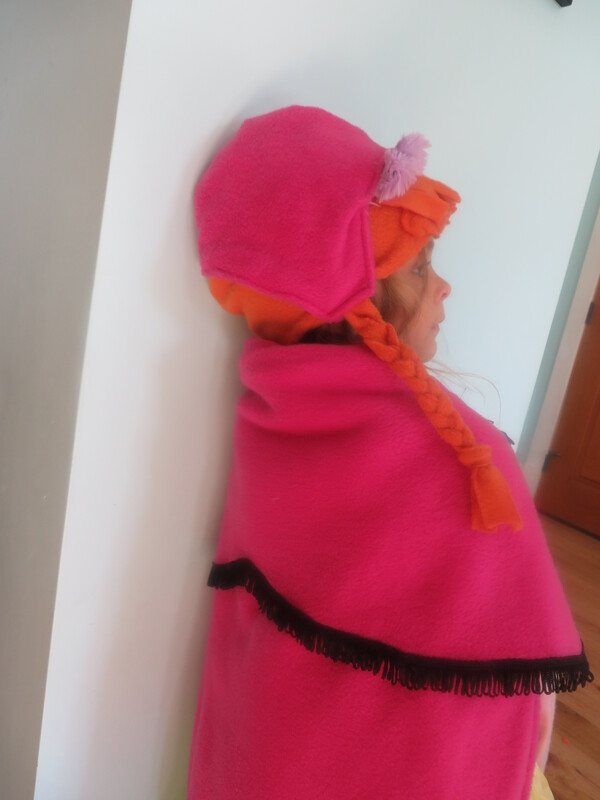 Then, you want to fold your main body in half while folding your bottom layer of fleece (which will make your upper portion of cape) on top of that. Folding in half like this will get you a pretty symmetrical cut for your upper cape piece. 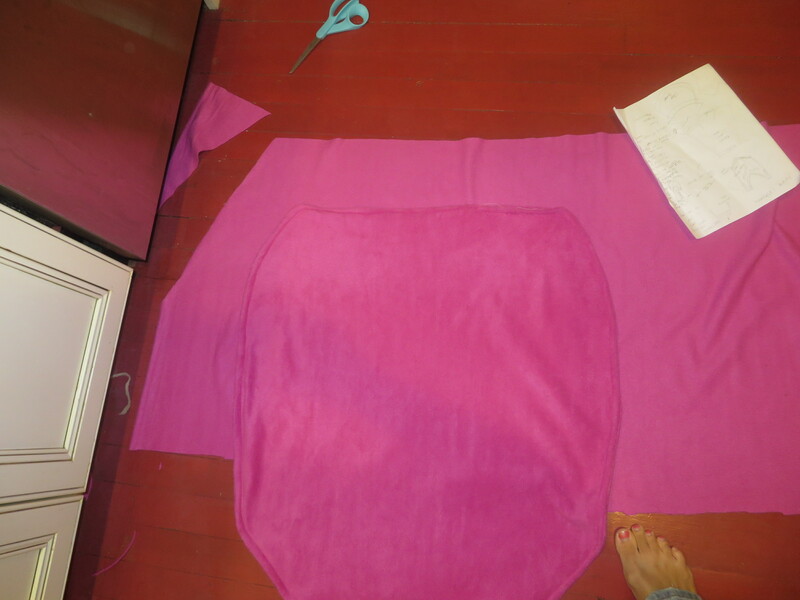 Folding lower body of cape on upper body of cape to get symmetrical cut-out for upper cape portion. 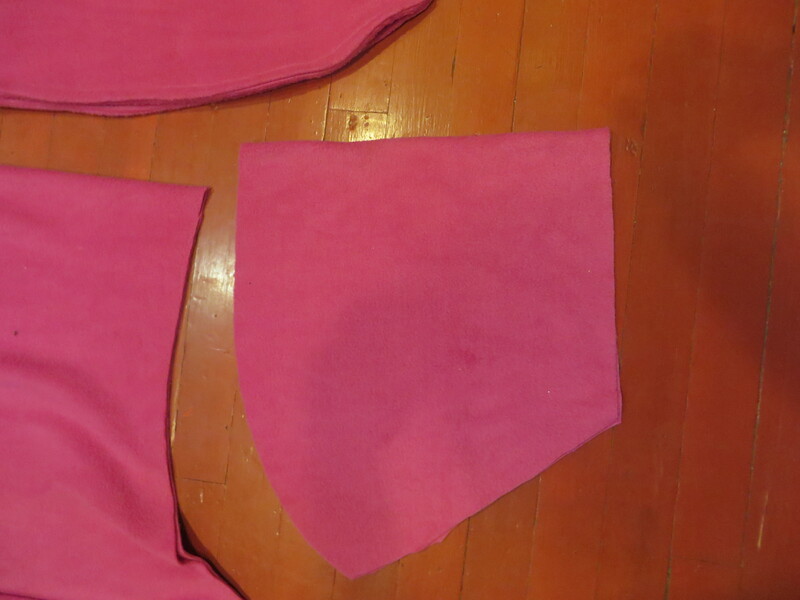 Upper body portion of cape cut, folded in half. And now they must be sewn together. *Please note that if you are using some sort of the black trim as shown on the finished cape that I made, you do not need to hem the top portion of this cape. The trim will do the job of hiding your raw edge for you. If you are not using trim, you will want to hem three sides of this piece, leaving the top portion that goes around the neck w/ a raw edge. 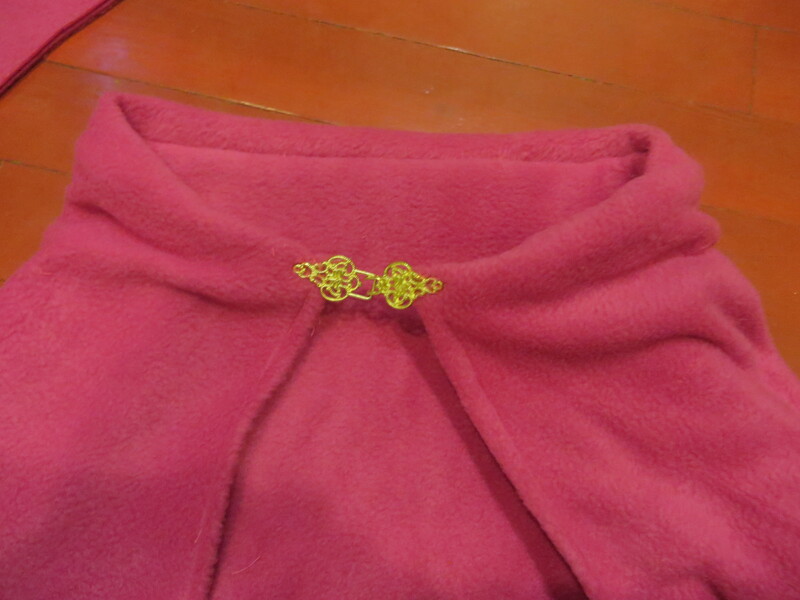 Upper and lower portion of cape pinned pretty sides facing up. 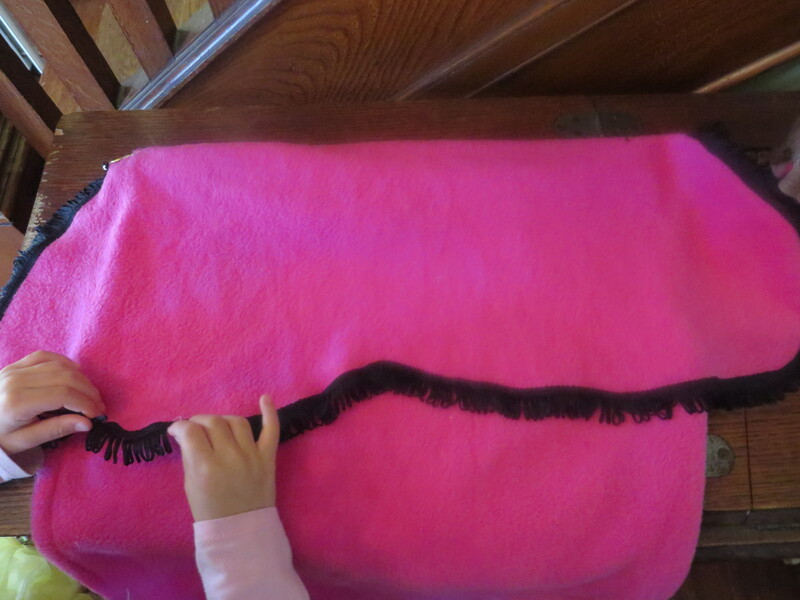 Sew your seam at the top of your cape. Now flip the top portion back over your long portion. It should look like a basic, two-tiered cape now. And now you get to fancy it up a little. 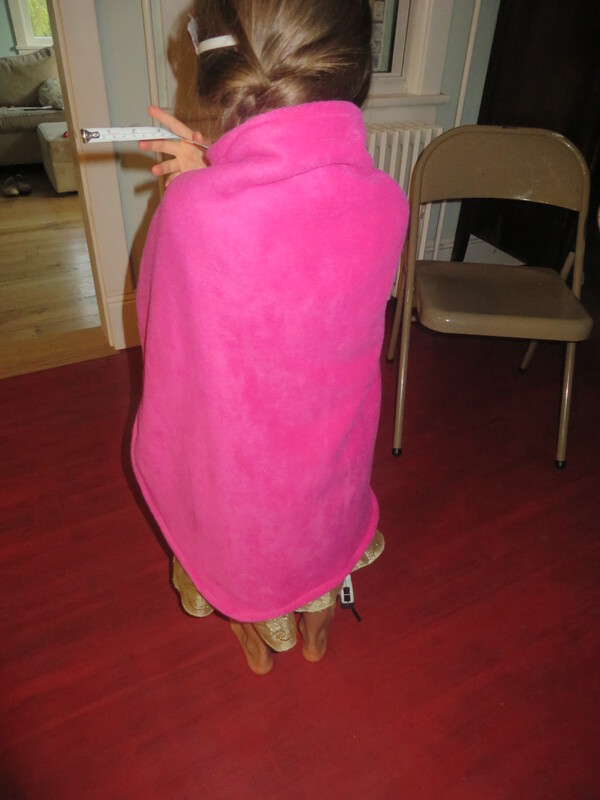 The problem was, though, that it would not hold up to my daughter’s rough handling when she would sing “Let It Go” while tugging on the front of the cape, running to the North Mountain (really just running across my dining room). Fancy top-tier trim for Anna cape. But I’m getting ahead of myself here. Sorry! Let me show you how to add the trim first before we talk closures. I didn’t do that first, but I should have. 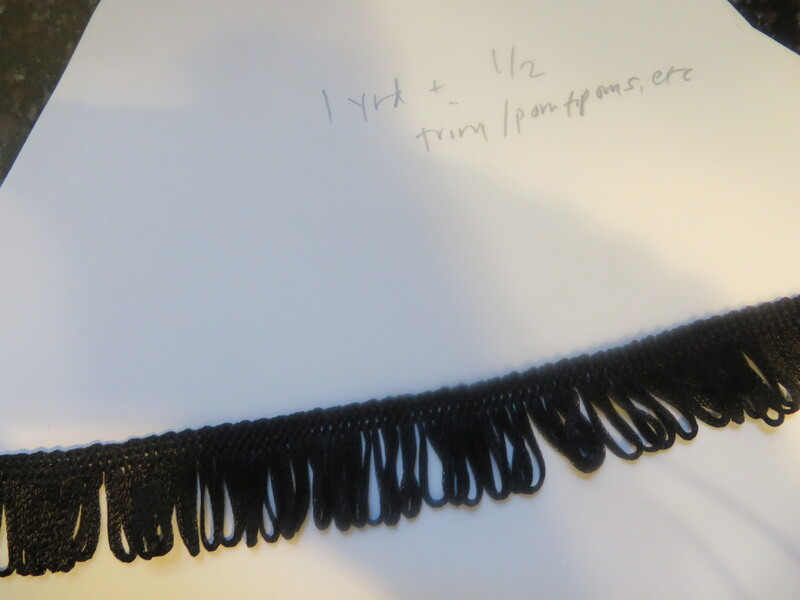 If you do it first, the trim goes all the way up to the neckline and just generally looks better. 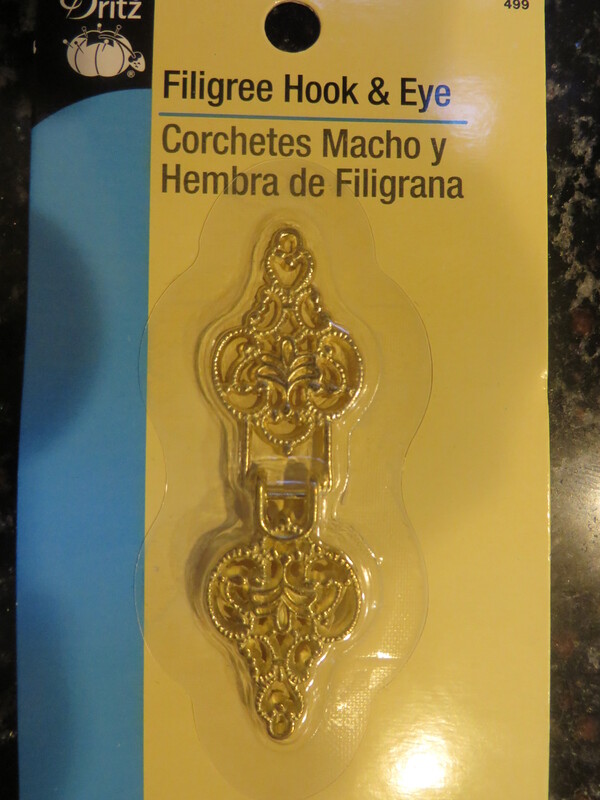 Basically, you just line it up w/ your edge of the upper tier fabric, pin if you want, and sew. Anna cape bedazzled w/ trim. 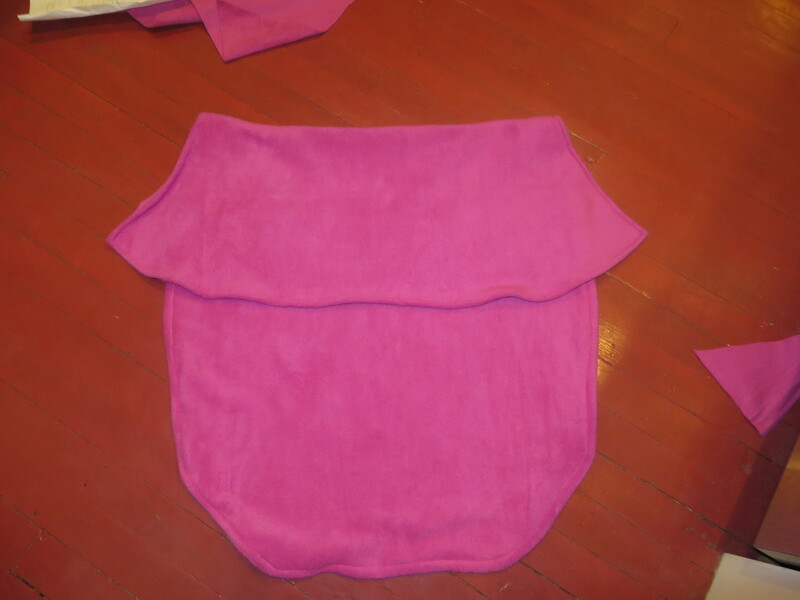 Finished Anna cape unbuttoned and laying flat. And, I know, I know, I need to get the tutorial up for Anna Hat No. 2! It’s coming soon! !